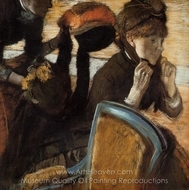 Brilliant, inspirational, controversial; all these words aptly describe Edgar Degas, a Parisian artist who, oddly enough, rejected the impressionist label even though he was a huge part of, and influenced many artists from, the Impressionist movement. 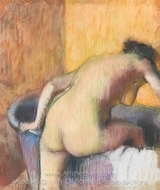 Degas was more than a painter; he was a sculptor, draftsman, and even dabbled in photography. 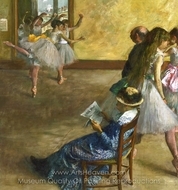 Many Degas paintings were shown in Impressionist exhibits from 1874 to 1886. Despite this, Degas voiced his displeasure of the label, stating Edgar Degas paintings, "never adopted the Impressionist color fleck." 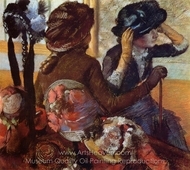 A Degas painting is a treasure to any art collector. 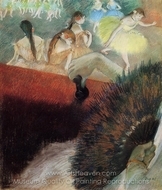 Edgar Degas famous paintings include striking images of dancers, women, and racehorses, among others. Edgar Degas is famous for his ability to translate the actual physical movement of his subjects onto the canvas with realistic integrity. 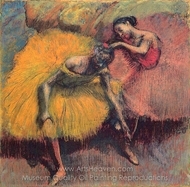 This is why Degas referred to his art as "realist." 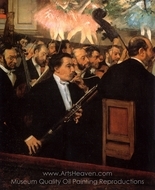 Degas paintings began as reflections of times in history; Degas wanted to paint history. 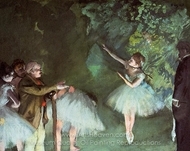 Early in his career, however, Degas began painting people and scenes around him with breathtaking accuracy. Quickly his paintings went from being historical pieces to contemporary ones. 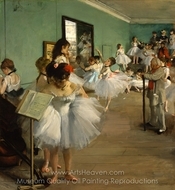 A Degas painting is more structured than other paintings from the Impressionist period. 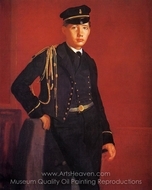 This is because he used a more formal approach to his work than his contemporaries. 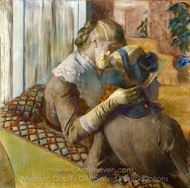 Edgar Degas began his art studies by focusing on drawing, and worked with lines rather than the freestyle approach many other Impressionists used. Admirers looking closely at any one of the many Edgar Degas famous paintings can almost see the structure that began with lines. 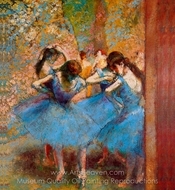 Of course, owning actual Degas paintings is any art collector's dream. That said, the price tags are insurmountable. 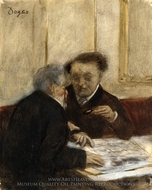 Edgar Degas paintings fetch a pretty penny, despite the cranky artist's well-known reputation of being a recluse and curmudgeon. 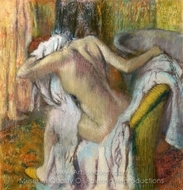 A Degas painting adds more depth to an Impressionist collection, however, due to his strict belief in traditional techniques. The detail in many Edgar Degas famous paintings rival the best in the world, so owning one only adds stunning beauty to any indoor space. Degas was a purest and a perfectionist, and visitors will be drawn into the refined, classical depth of any Degas piece hung on the wall. 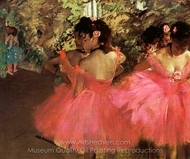 Many art galleries and stores offer replicas of Degas paintings. 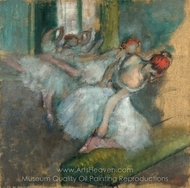 Most of the time, however, these replicas fail to truly capture the essence of true Edgar Degas paintings. 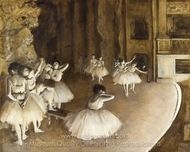 This is because a Degas painting needs to be painted as it was originally to truly reflect the artist's depth in the original work. 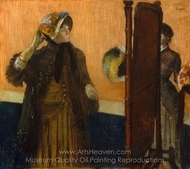 Arts Heaven employs painters -- specialists if you will -- who are versed and skilled in creating oil and canvas replicas of many Edgar Degas famous paintings. 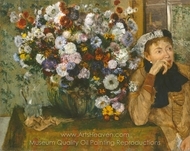 These modern-day artists appreciate the work of their "teacher," Edgar Degas, and work exclusively to present a true-to-life replica that will enhance any home art collection.